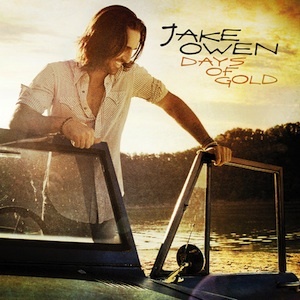 Jake Owen will give a special preview of his “Days of Gold” music video during College Football’s first primetime game of the season on Saturday (Aug. 31). The Georgia Bulldogs will take on the Clemson Tigers; the game airs on ABC at 8 p.m. ET. “Going to college football games, tailgating and living it up with friends is right on track with what ‘Days of Gold’ is all about. 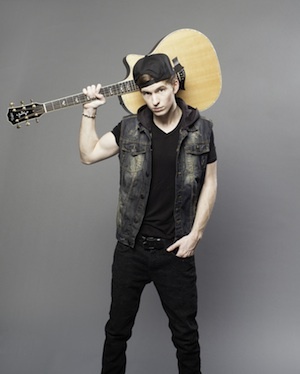 I’m excited for the song to be a part of this season’s opening weekend,” shares Jake. Bradley wrote or co-wrote eight of the songs on his upcoming debut CD, including “Cherry Bomb,” a song he penned with Florida Georgia Line’s Brian Kelley and Tyler Hubbard. Tracy Lawrence recently stopped by for a guest appearance on HLN’s Morning Express with Robin Meade on Thursday (Aug. 29), to discuss his new album Headlights, Taillights, and Radios. Lawrence performed the track “Butterfly,” and shared that he was inspired to write the song after the Joplin, Mo. tornado crisis. RPM Entertainment’s Maggie Rose recently traveled to the Middle East to perform several shows for the U.S. military. 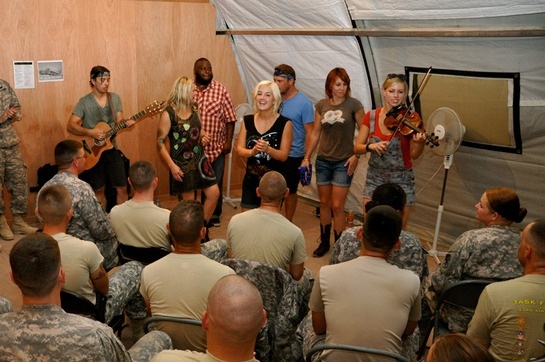 Rose toured an undisclosed military base, performing her music for the troops. She even got a glimpse at what life in a special ops K9 unit is like, which she shared via Instagram. Maggie Rose performs for members of the U.S. military.